Oh yeah.... MAXIMIZE everything. 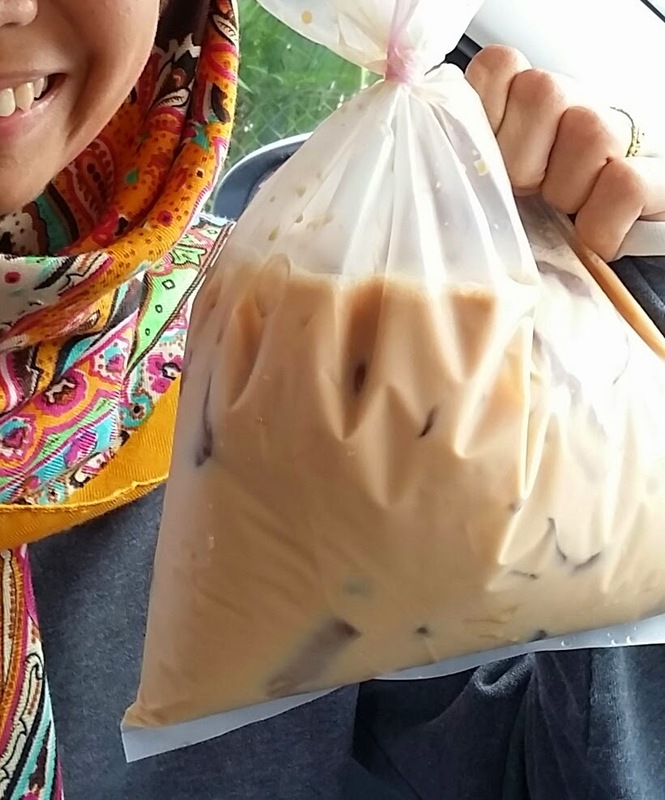 Iced tea in this humongous plastic bag is RM 1.50 only. Successfull entrepreneurs always say they MAXIMIZE RESOURCES. Today, I see it for real. No, not the iced tea. Was searching for a nursery at Taman Perindustrian Bolton just now. The lady advertised on Facebook about her nursery. 'Perindustrian' sounds BIG. I imagined her place in one of the industrial lots, sort of like a factory since she's also selling pots. Guess what. It's not at the factory lot. It's just located at a terrace house, corner lot. Packed with flowers until you can't even tell where is the entrance. And... There's a playground behind her house. And alongside the playground are potted plants which I'm very sure belong to her since all the flowers are all in those black plastic thingy. Now. That is what we call MAXIMIZE. Back home, we really work on our garden. Still got a lot more spaces. Really.. We should really MAXIMIZE. If you have high speed unifi at home, don't just go on stalking people reading gossip looking at instagram feeling envious of people's daily activity and so on. Write a blog. Do a vlog. Read articles. Find journals. Read journals. Really, people. Wake up and MAXIMIZE your resources. Mesti RAJIN.